Between the free-range farm animals, a custom rose colored gown, and foraged florals, there are so many things about Trish and Kevin’s Vancouver Island wedding that we love! When choosing their venue, the couple knew they wanted to stay close to their roots so they went with a cabin resort near Kevin’s hometown. Dolphins Resort offered the rustic and romantic woodland vibes and Trish and Kevin’s DIY projects and vintage pieces added some very personal touches! Luke Liable Photography captured every moment of this wedding, including some amazing couple portraits on the farm. Kevin’s step mother and I baked an assortment of pies instead of the traditional wedding cake and I made label holders out of champagne corks to differentiate the pie flavours and cocktail dispensers. We live in Victoria, BC, but were having difficulty finding a venue with the right vibe, so we started thinking about where our guests would be coming from and set our sights on Kevin’s hometown. When visiting Kevin’s parents, we often went to Dolphin‘s Resort for brunch (which is DELICIOUS) and love the woodsy/seaside feel of the property. After wandering about with their event coordinator, we were very taken by the elegant yet rustic ambiance of the Discovery Lounge and knew it would be the perfect spot for our Westcoast wedding. I am too pale to wear white. For this and many reasons I knew the classic wedding dress options were not for me. I love fashion and wanted something timeless, yet different, but did not know where to begin. Fortunately I met an incredibly talented woman named Lily Kennedy. Lily turned my mish-mashed wants into tangible plans and our dress became a reality. We picked the rose lace to compliment my auburn hair and general pallor. I wanted the dress to look soft, but hold up after hours of vigorous dancing. I was not disappointed. Accessories were chosen for their subtlety and timelessness. Our photographer is phenomenally talented and incredibly easy going to work with. Luke Liable makes hilariously lame jokes, and our bridal party immediately warmed to him. Both Luke and his assistant Kimberly Kufaas have good eyes and worked well in the moment. We were so pleased to have them be apart of our celebration. When it comes to planning your wedding, know that not everything is going to be perfect and that is okay. Be adaptable and be kind, because a good planner goes with the flow and remembers that the friends and family helping them are doing it out of love. 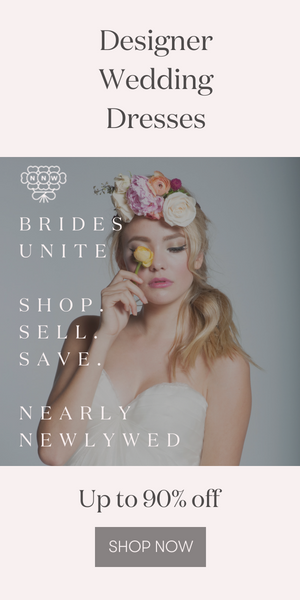 There is NO excuse to be a Bride/Groomzilla. When planning our wedding, the most important thing we kept in mind was the comfort of our guests. Sure, a wedding is normally about celebrating the journey two lovers are about to embark on, but the people you have chosen to surround yourselves with is what makes it worth celebrating. We did our best to consider our guests experience, from providing ample and diverse food and beverage to ensuring a seamless transition between eclectic dance floor groves. We deemed our wedding a success from the smiles and laughter of our family and friends. Kevin made the wooden structure for the seating chart out of pallets, which I stained and adorned with antique frames. There was quite a bit of DIY at our wedding and many objects were sourced from garage sales and second hand shops by myself and Kevin’s mother. I hand painted all of the signage and table numbers; the stands for the table numbers were made by tying wine corks together with gold flecked string. We wanted the wedding to feel like a reflection of our Westcoast roots, while simultaneously being the dinner party of our dreams. The venue really helped this vision come to life, as the rustic cabin feel of the resort was offset with elegant touches of gold and candlelight. Congratulations to Trish and Kevin on such a gorgeous wedding, and a big thanks to Luke Liable Photography for submitting it to Junebug! Can’t get enough of this photographer’s amazing work? Then take a look at this al fresco summer wedding in the Tanglebank Gardens! Love seeing so many elements from nature in the photos! very sweet couple! Gorgeous wedding! Definitely looks really cozy. Congratulations to you both!